The great minstrel, Pastor Kunle Ajayi will lead over 140 worshippers to perform at the 5th edition of Marathon Messiah Praise tagged “The Sovereign God”. The Marathon Messiah’s Praise, the world’s longest annual non-stop gospel musical event is aimed a expressing gratitude to God for His mercies upon the life of Pastor E A Adeboye the General Overseer of the Redeemed Christian Church of God (RCCG); Worldwide. 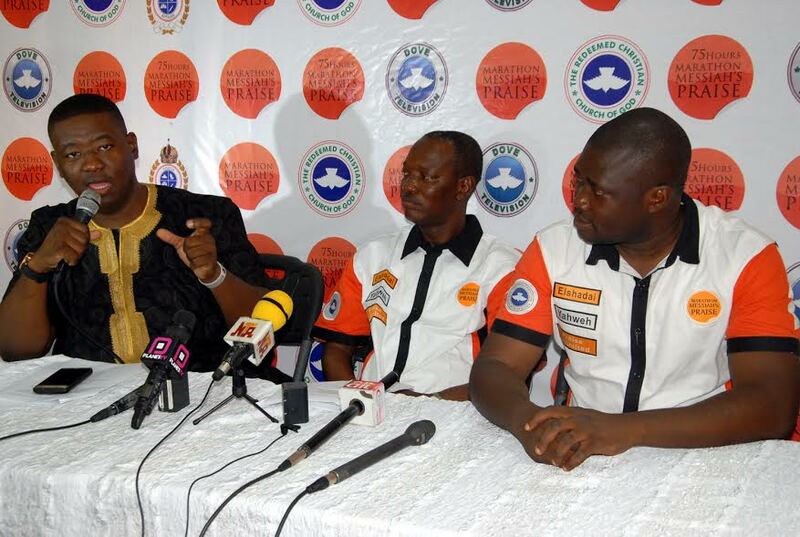 The Music Director Pastor Kunle Ajayi at a news briefing said with the Holy Spirit as the anchor, 140 worship leaders will be leading millions of worshippers across the globe on 8 music stages in Nigeria, Australia, Belgium, Canada, South Africa, UAE, UK, and the USA. He disclosed that the main stage will be at the Youth Centre in Redemption Camp, Nigeria while other stages outside the country will be satellite stages. Pastor Kunle said that 75 hours non-stop praise concert will start at 12:00pm prompt on Monday, 27th February and end at2:00pm on Thursday, March 2nd. He added that officiating would be rotational as participants praise the Sovereign God across the globe. According to him, while the stages outside Nigeria will be ministering at their allocated time, there won’t be any activity on the Nigerian stage but the audience in Nigeria will join other worshippers in the other stages virtually as screens will be provided at the Youth Centre Redemption Camp to view and join the other stages during their ministrations. 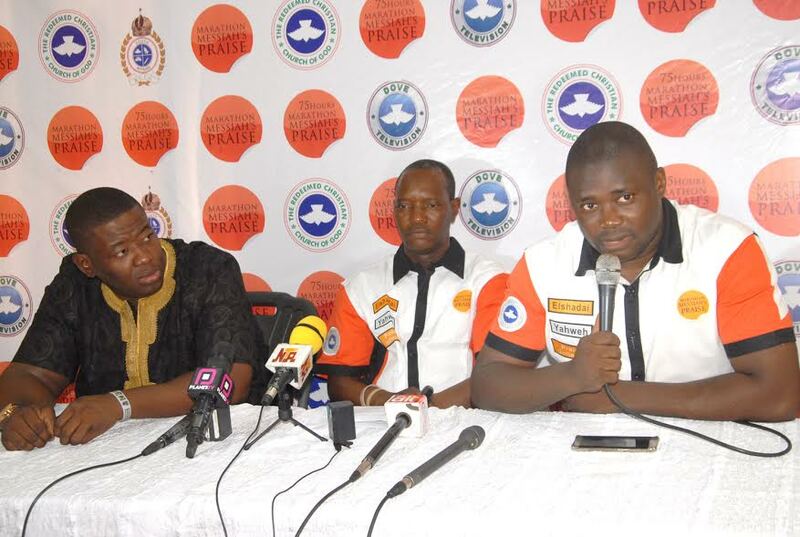 The co-coordinator, Pastor Femi Oyetunde, on his part, added that over 1,800 persons have indicated interest to work as volunteers during 75 Hours Marathon Messiah’s Praise, and thousands have also registered as participants for the event. According to Pastor Femi, free accommodation and feeding will be provided for both volunteers and participants in Nigeria. He said there will be live broadcast on DOVE TV, Kingdom Africa, X2D and RTM. Marathon Messiah’s Praise is a programme of the National Young Adults and Youth Affairs of RCCG which was birthed in 2012 and started as 70 Hours Marathon Messiah’s Praise.